While the real estate market takes a long needed pause to breath deep, the reality is that we have not yet seen significant reductions in the number of homes sold in Sequim and Port Angeles, at least not of recession significance. 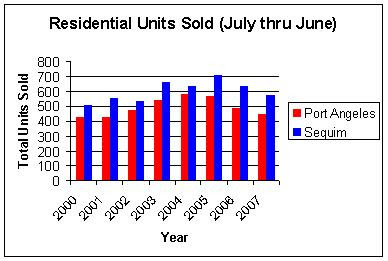 Sequim actually sold one more house in this time period in 2007 than it did in 2006, and Port Angeles sales dropped by only 12 homes. Pricing is more significant. 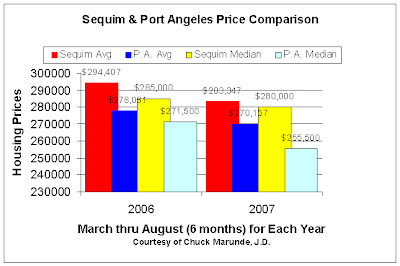 As this chart illustrates, in 2006 (for the six month period from March 1 through August 31), the median price of homes sold in Sequim was $285,000, and in Port Angeles it was $271,500, and in 2007 $280,00 and $255,500, respectively. 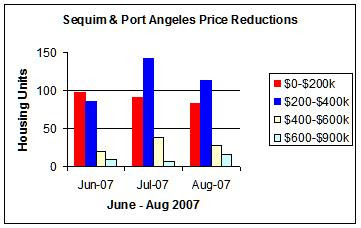 The drop in average prices in Sequim is larger than the reduction in Port Angeles. The Sequim average sales price of a home in 2007 is down to $283,347 from $294,407 in 2006 (an $11,000 drop). During the same time period, Port Angeles homes sold dropped by only about $8,000. I took the liberty of refining (weighting) the statistics to arrive at more meaningful numbers. For example, the majority of sales are within the price range of $200,000 to $400,000. There were a total of 185 sales in this range in Sequim in 2006 and 146 in Port Angeles. 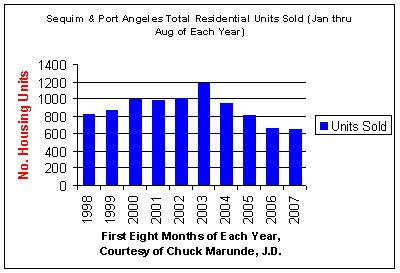 The total houses sold in the same time period (in that price range) in Sequim for 2007 is 186, and for Port Angeles 134. I excluded sales below $200,000 because that represents lower priced housing, some of which is not comparable to the typical 3 bedroom, 2 bath home that represents the majority of buyers’ preferences. I also excluded sales above $400,000 because that is a much smaller number of sales, especially those above $700,000 (only 12 in Sequim). By excluding these lower and higher priced homes, 81% of the remainder of homes sold in Sequim are within $200,000 to $400,000. A similar result is obtained for Port Angeles sales. From a sales perspective, one message a person could take home from all these numbers is that a seller would be well advised to be represented by a professional agent with strong negotiating skills, not to mention access to hundreds of potential buyers (the two MLS’s, out-of-state broker referrals, and other buyer sources not available to unlicensed individuals or FSBO’s). This is not intended as a sales pitch, but it does seem very logical in light of the importance of getting the highest possible price for a home in a time when prices are dropping, and getting the best price would be a partial function of connecting with the largest number of prospective buyers. Something to think about. Port Angeles – Sam Nugent has met the professional requirements for membership in the Environmental Assessment Association (EAA) and has been recognized as a Certified Environmental Inspector. Nugent, along with partners Howard Sprouse of Joyce and Dr. Thom O’Dell of Port Angeles founded The Remediators Inc. in 2005 to restore the economic value of contaminated or distressed properties. The company focuses on bio-remediation techniques using fungi to breakdown toxic compounds. They also offer site assessment, cleanup planning, system design, tank removal, as well as the excavation and hauling of contaminated soil. According to membership lists on the EAA website, Nugent is the only environmental inspector certified on the Olympic Peninsula, and only one of 30 in Washington. The international association boasts over 5,000 members worldwide from the U.S. and at least eighteen other countries, and consists primarily of environmental inspectors, lenders, remediation firms and government agencies. To be accepted for membership and certification, qualified individuals must first meet specific educational and experience criteria, then commit to adhering to the association’s strict Code of Professional Ethics, which establishes clear and ethical parameters for its members. According to Nugent, under federal law any owner of contaminated property can be held liable for the entire cost of that cleanup, regardless of how the contamination occurred, unless they can demonstrate “innocent purchaser” status. “An environmental assessment done prior to purchase alleviates much of the new owner’s financial burden should a problem show up after the sale,” he said. Aside from underground and above ground fuel tanks, Nugent says that the development of homes in what was once agricultural or forested areas is a common source of unexpected problems. The Remediators Inc is located at the Incubator@Lincoln in Port Angeles, and can be reached at 360-565-2065. For more information about environmental assessments, visit their website at www.greenlightsoil.com. Will buyers in Sequim and Port Angeles be forced to pay this real estate transfer tax? Just when you thought you were taxed enough, there’s a new tax on real estate coming our way. It started in California, as many trends do. It’s a private (not government) tax on the sale of real estate, and buyers are being forced to pay it when they purchase a home in a new development. What Is This Private Transfer Tax? Developers and builders often have opposition to their projects from environmental groups, land trusts, or other non-profit organizations. An alliance between develpers and these opposition groups has created a whole new paradigm, and developers are agreeing to pay off these organizations with a private transfer tax on the sale of each lot in exchange for their support for the real estate project. This saves the developer years of fighting, and clubs like the Sierra Club and the Audobon Society have found a new source of revenue. The amazing thing is the way this new tax is imposed on innocent buyers. The developer includes a covenant incorporated into the deed, which requires future buyers to pay a percentage of the selling price to the designated land trust or charity. As of now, it appears the deeds have this requirement for a time certain, 20 years. Is this amazing? Creative, isn’t it! Because this seems to extort money from developers and ultimately from buyers while compromising what may be true environmental concerns, some would call this an unholy alliance. What say you? This tax is apparently spreading to other states, and it is just a matter of time before it rears its ugly taxable head in Washington state. There are many perspectives on the Sequim real estate and Port Angeles real estate markets, and many ways to look at the state of the market. Here is another perspective. This chart represents the total residential units sold in the first eight months of the year from 1998 through 2007. Are you buying or selling real estate in Port Angeles or Sequim? If you are, who is your transaction coordinator? A transaction coordinator is extremely important, perhaps one of the most important people in your entire transaction. This is the person who coordinates everything about your transaction from the minute a Purchase and Sale Agreement is signed by buyer and seller. Top producing Realtors have a full time transaction coordinator, and there are some Realtors who do their own, but there is much much more to being a transaction coordinator than just baking a pie (although that would be pretty hard for me). The Purchase and Sale Agreement must be reviewed for legal sufficiency, with signatures by all parties on the title, and in Washington (because we are a community property state) by all spouses even if not on title. Initials must be on the bottom of every page of the agreement marked for a signature, and each edit or change must be initialed and dated by all parties. All attachments must actually be attached, i.e. the legal description, and it must be incorporated by reference (and best if also initialed). All amendments and addendums must be properly attached and incorporated and signed. Legal disclosures must be signed and distributed to the proper parties, and certain docs must be acknowledged and returned by key deadlines. Contingencies and feasibility items must be calendared and handled at the right time. Third party involvement, such as lenders, inspectors, contractors, escrow and title companies, building departments or other government agencies, must be diplomatically encouraged and monitored to do their job at the right time. Continuing documentation must be accomplished, which often means waiver docs or extensions or other amendments. Status of transaction information must be entered into the MLS, and multiple MLS’s for some of us. Review of all third party documents for compliance with the client’s terms in the agreements, and for timeliness. A transaction coordinator must be well organized, good with technology, software, database management, composing letters, good with time management, diplomatic with people, good on the telephone, experienced with all legal documents and requirements, and AND MUCH MORE. Your transaction coordinator does all this. Missing or ignoring one or more of these items could kill your transaction! Seriously. Is your transaction coordinator good? P.S. Don’t assume your real estate agent is good at all these things. Ask. In other words, interview a Realtor before you hire him or her. If you are selling a home or land in Port Angeles or in Sequim, getting the right legal documents and disclosures required under the law (and there are many) and drafting clear and unambiguous language is no small challenge. You’ll need a good Purchase & Sale Agreement, Contingency Addendums (financing, inspection, etc. ), legal descriptions (legally “sufficient”), disclosures required under Federal and State law (lead paint, environmental, Form 17 with brand new requirements effective June 22, 2007 and possibly Form 17C), and you’ll need to handle all the “little” issues that come up between the signed agreement and closing. Any one of these “little” issues can kill the transaction. 1.) knowing the local real estate market, 2.) figuring out the FMV and determining a realistic sales price, 3.) developing an effective advertising plan, 4.) negotiating diplomatically but firmly to arrive at a price that pushes your buyer as far as they are willing to go, 5.) drafting good legal contracts with unambiguous language that gets the property sold without legal problems, and 6.) avoiding the many traps for the unwary. One of the traps for the unwary I learned as a real estate lawyer is thinking we know something better than we do. I picked up many clients who ended up in nightmare scenarios by knowing just enough to be dangerous to themselves. I’m reminded of all the individuals who began to trade their stocks and investment portfolios online themselves by doing some reading on fundamentals and technical chart reading. Even those individuals who learned a lot lost a lot of money in the 2001 spring market crash. Selling your own home is not the time to experiment or learn by trial and error. You have too much invested and too much at stake. A commission to a Realtor is well worth it, and in many cases is less than the money and time a Sequim FSBO loses by trying to do it themselves. I think the fact that nationally 85% of all FSBOs end up listing with a real estate agent is a good indication it isn’t as simple or as easy as one might think. I recommend reading the article I wrote discussing each of these steps, but I also suggest that you interview Sequim real estate agents, or Port Angeles real estate agents, and find one that really knows the business and can talk to you with wisdom and help you make fully informed decisions, whatever you decide to do. I’ve written about each step of this process, and you can download my free eBook on the Sequim FSBO process. 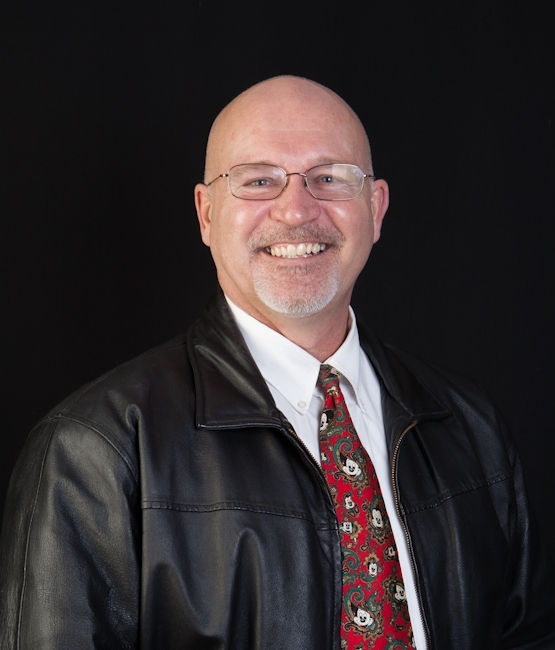 Are you a Sequim FSBO? I compiled this data from the Olympic Multiple Listing Service for the time period July of 1999 through July of 2007. It shows the number of residential properties sold each year in both Sequim and Port Angeles. It’s interesting to see the pattern. Sequim has outsold Port Angeles consistently, and the trend of properties sold in both cities is consistent. Of course, 2005 had the highest number of residential properties sold, and we’ve been seeing a cooling offer period now, which is visible in the 2006 and 2007 bars. A buyer has so many options these days to search for and buy real estate. Internet, this is the number one search source, 84% of buyers start here. Free trips to spend a few days at the new resort that is part of the new “ultra complex” offering golf, boating, green space, hunting, hiking, club house, shopping…spend three days viewing your new lifestyle. Watch out here. You could end up paying a hefty premium. Residential, private sights and multiple formats too. Commercial, more selective and less public because the audience is not as big. Money back at close to buy furniture or that new car to put in the garage. This is just a few options. I could fill the page with hybrids. With all of this, clearly the rule is caveat emptor, or buyer beware. Just as these many sources give a buyer many more options, a buyer has that many more ways to end up getting conned or paying to much for a property, or even worse, getting in big legal trouble. Another case for retaining the services of a professional Realtor? Some more photos of downtown Port Angeles and the Port of Port Angeles by yours truly. 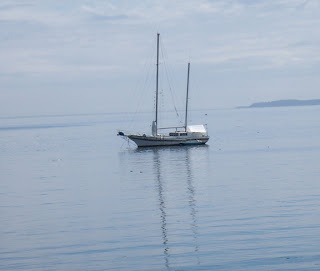 I’ve posted these pics on my Port Angeles Photos. Did you know you can connect or transfer your utilities online? Here’s a link you can use to do that right here in River City, well in Sequim or in Port Angeles. Your welcome. My pleasure entirely. Selling Sequim real estate requires more knowledge and experience than it used to, especially in the current market conditions. One of the keys is staging a home, or at least making it look for showings. Good staging helps sell homes. It not only helps when a potential buyer is actually touring your home, but also when they are looking online to find their dream home. Just about everyone has a computer with an Internet connection, so it is easy to search for Sequim real estate or Port Angeles real estate with your specific parameters. On the Internet, buyers are able to type in the exact criteria they want in their new home. 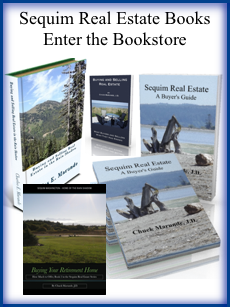 Searching Sequim real estate has never been easier or more interesting. Searching for your next home on the Internet can be a lot of fun. In a matter of seconds you can see a list of potential homes, compare them with photos and virtual tours to decide which home is worthy of your time. Staging a home prior to the photos and virtual tours will ensure a positive first impression, even before anyone pulls up to your door. Without good photos, your home may never make it through a buyer’s Internet filters. 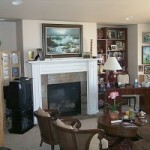 One of my associates collected photos of excellent examples of homes for sale. Well, as they say, a photo is worth a thousand words. Want your home to look its absolute best for showings? If you’re not good with arranging furniture, selecting or hanging the right photos or paintings, and giving your home a look of comfort, get professional help with a Stager. 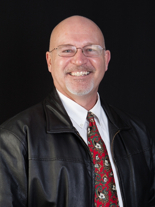 If you’re Sequim real estate agent is exceptionally talented, get his help. You can take a Ferry from Port Angeles to beautiful Victoria, Canada, and you have a choice. You can take your car across on the big Ferry, or you can walk on the little Ferry. If you haven’t been to Victoria, you really are missing out. It’s a great place to spend the day sight seeing and shopping. Photo by Chuck Marunde, Aug 2007. 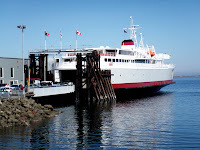 The Coho provides year round vehicle and passenger service between Port Angeles and Victoria, B.C. Sailing time is approximately 1 hour and 35 minutes. The ferry arrives and departs from downtown Port Angeles to the inner harbor in Victoria. Reservations are accepted. For more information on sailing times and fares, call (360) 457-4491 (Port Angeles), (250) 386-2202 (Victoria) or (206) 622-2222 (Bellevue). The Victoria Express is a passenger only ferry with service between Port Angeles and Victoria, B.C. Sailing time is approximately 1 hour. Like the Coho, the Victoria Express arrives and departs from downtown Port Angeles to the inner harbor in Victoria. Reservations are accepted and recommended in the summer. For more information on sailing times and fares, call (360) 452-8088 (Port Angeles), (250) 361-9144 (Victoria) or (800) 633-1589 (WA State only). If you’re shopping for Sequim real estate or Port Angeles real estate, beware of a potential misrepresentation when searching the MLS data, or even getting the assistance of a real estate agent who might be unaware of this trap for the unwary. What is the danger? When agents put a listing into an MLS, the system records the number of days the listing is on the market until it sells. This is called DOM, or days on market. If you see a property on the market for a long time, like 236 days or 344 days, you may logically make an offer than is lower than you would if the house showed a DOM of 7. Big difference from a buyer’s perspective. The danger is that some agents around this great US of A will take the listing out and re-input it, so that the DOM starts all over again. This misrepresents the days on market. Make sense? Be careful out there. It’s a dangerous world. May I say it? Hire a professional who knows what’s going on. The Sequim real estate market and the Port Angeles real estate market have both seen excellent appreciation in recent years, but we now are seeing the slow down. Sequim had incredible appreciation until recently. Stay tuned for an upcoming statistical analysis of the Sequim and Port Angeles markets. Is My Retirement Account Safe So I Can Move to Sequim? Is It a Good Idea to Invest in Rental Properties?